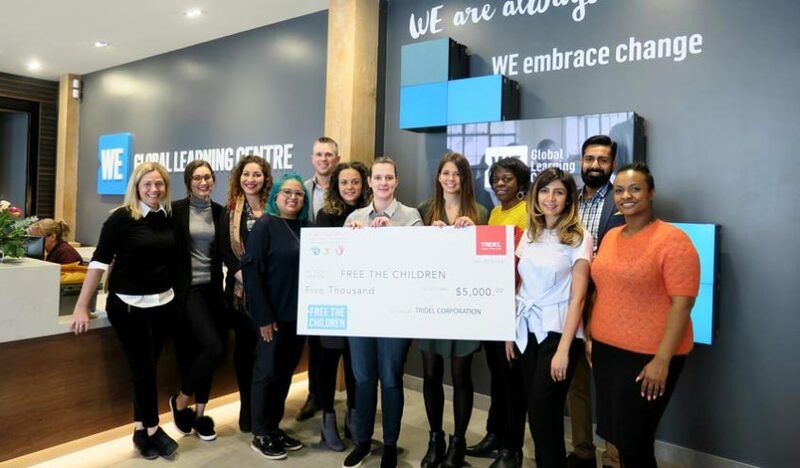 On Wednesday, March 21st, 2018 the Take Action team was proud to represent the Tridel Group of Companies at a cheque presentation to Free the Children at the WE Global Learning Centre. This donation will support the construction of two wells, ensuring access to safe drinking water for two WE Communities. This continued the tradition of our support for WE communities and is the culmination of over 3 years of fundraising. Previously, this employee lead initiative was able to raise $10,000 through our partnership with Free the Children to build a school in Los Rios, Ecuador. Tridel matched the funds raised to build a second school in Kipsongol, Kenya.